1700 KING ROAD, KING CITY. 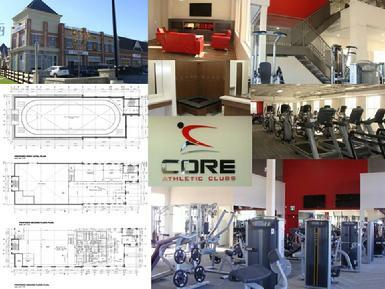 We were approached by one of our Home Builder colleagues whose wife had partnered with a professional trainer to form CORE ATHLETIC CLUBS. 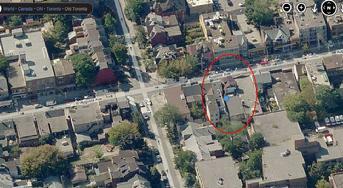 They chose this proposed building that was to be constructed on the north west corner of King Road and Dufferin. We were asked to prepare the interior space within the base building that was one of several on the site, designed by Baldesarri Architects. 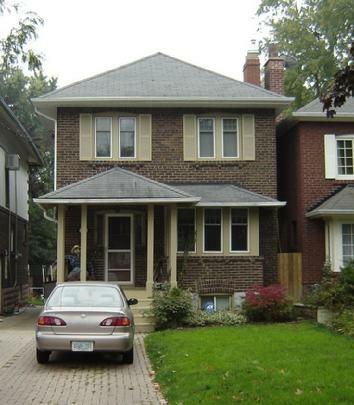 16 DAVIES CRESCENT, EAST YORK. This classic custom home was completed in the summer of 2015. 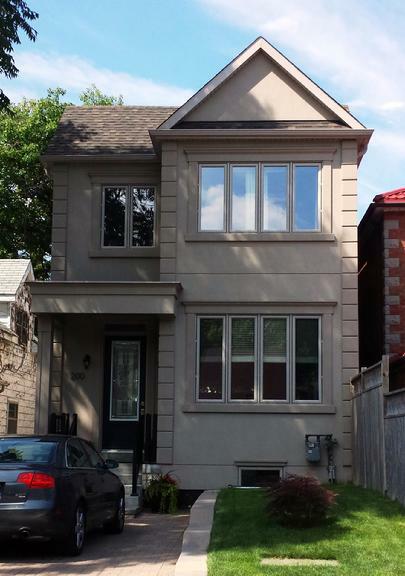 This picturesque little, one and a half storey home was way too small and in really bad shape so the owner decided to tear down the original rear addition, add a new second storey addition and build a new two storey rear addition with a full basement; resulting in a very impressive new home with an attractive front facade to the street. The original size was approximately 1,200 sq ft. and after the renovations and additional 600 sq ft. were added to create a comfortable 1,800 sq ft. home. This house was so badly water damaged that it was essential for the renovation to be a total gut job. During the planning stage the client made it abundantly clear that the main floor would be completely open with no columns, load bearing walls or dropped beams and a continuous ceiling throughout, it was an engineering nightmare but with a stunning end result! 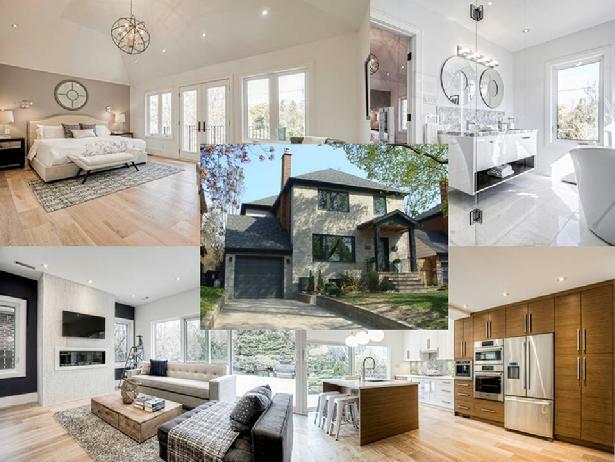 A second floor addition was constructed above the existing single storey rear addition to create a Master Bedroom with a Cathedral Ceiling, an En Suite bathroom and Walk In closet. I would like to acknowledge and thank Ms.Barbara Bryan of Alpha One Staging for her invaluable assistance with the Interior Decoration and Stagging. Our Client purchased this 985.00sm. 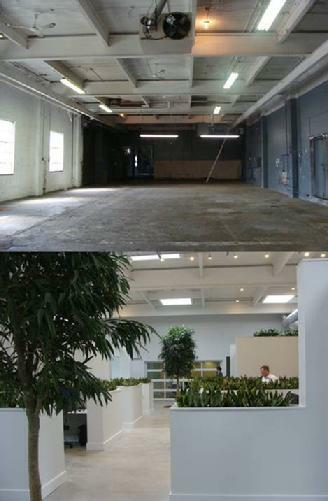 (10,600 sq ft.) old heavy industrial factory building in the summer of 2013 and retained us to design a converted interior space into a highly prestigious office facility. The building is approximately 67.0m (220 ft.) long by 12.0m (40 ft.) wide. The building is separated with a 2 hour fire rated firewall into two spaces (approximately 2/3 at the south end, used as office space and the remaining 1/3 at the north end used as an indoor parking garage for seven cars). The building affords a generous 5.0m (16'-6") high ceiling that allowed for mezzanine space at either end of the office space. New large windows and skylight were added to bring in natural light. We would like to acknowledge Ms. Kelly Buffey of Atelier Kastelic Buffey Architects for their design assistance. 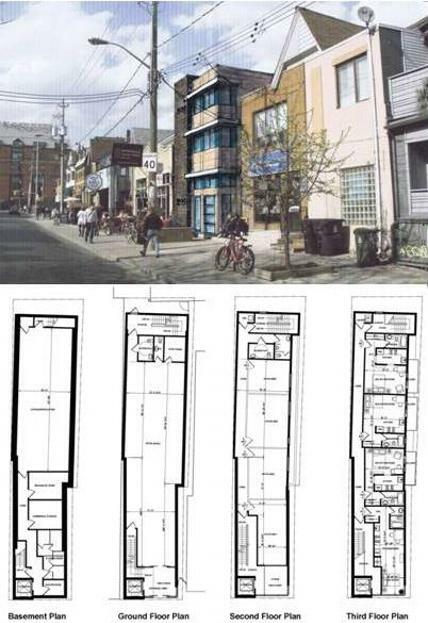 This proposed infill development in the heart of Kensington Market is a very exciting project and will be a three storey, 610sm. (6,566 sq ft.) mixed use, accessible building with an elevator serving all floors including the basement. There will be a large retail or restaurant space on the first floor, commercial office space on the second floor that is designed to allow for multiple offices that will attract young professional people. While there are four residential "bachelor" units on the third floor. The units will be fully furnished and well equipped with "mini" appliances and will be available for long and short term lets. Three of the four units will have a balcony with a southerly aspect and the fourth will have a street view facing west. To encourage the use of public transport or use of bicycles, no parking has been provided, however there will be bicycle storage lockers in the basement. The proposal has gone through Planning and Committee of Adjustment and is currently being processed for Building Permits. With an expected start date as early as October of this year and an anticipated completion date by spring 2014. Marketing has already commenced. Further information will be available as construction continues. 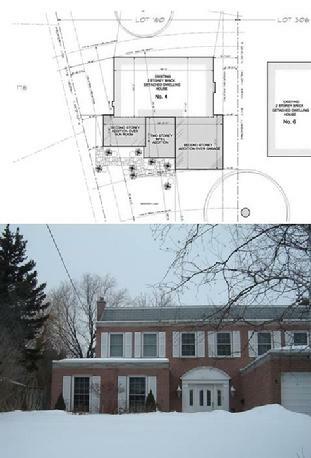 A very challenging major renovation to add a two storey rear addition and increase the floor to ceiling heights throughout most of the main floor without touching the front portion (see picture above) giving a gross floor area of 3,620 sq ft. The house has many features including 4 large bedrooms, 5 bathrooms (3 en-suite), a main floor powder room and cloak room, gourmet kitchen and breakfast nook in a fabulous bay window overlooking the pool, a formal dining room, family room with fireplace and a home office. The basement has a recreation room with wet bar and media room, exercise room, sauna, wine cellar and ample seansonal storage. Completed in the summer of 2011. 111 PARKVIEW AVENUE, NORTH YORK. An extremely fine custom home of 4,320 square feet, designed to fit a 60'-0" wide lot without the need of any minor variances. The house has many features including 5 bedrooms, 5 bathrooms, a main floor powder room, gourmet kitchen with butler's servery and breakfast nook, a formal dining room, family room & living room with fireplaces. The high ceiling basement has a recreation room with wet bar and landscaped walkout to the rear yard, media room, exercise room, sauna and wine cellar. Fianlly the most important feature is an elevator serving all floors including the two car integeral garage. Completed in the summer of 2008. 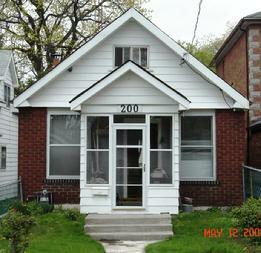 221 GLENVIEW AVENUE WEST, NORTH TORONTO. 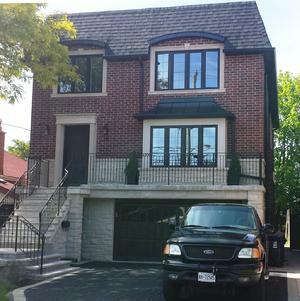 A major renovation with a completely gutted interior and an underpinned basement, a two storey rear addition with full basement and the addition of a third floor "master bedroom suite" with a walkout balcony to the rear. 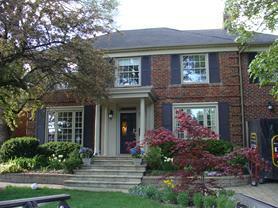 Converting the house from 1,527 square feet to 2,545 square feet. Completed in the fall of 2009. 4 DUNLACE DRIVE, NORTH YORK. 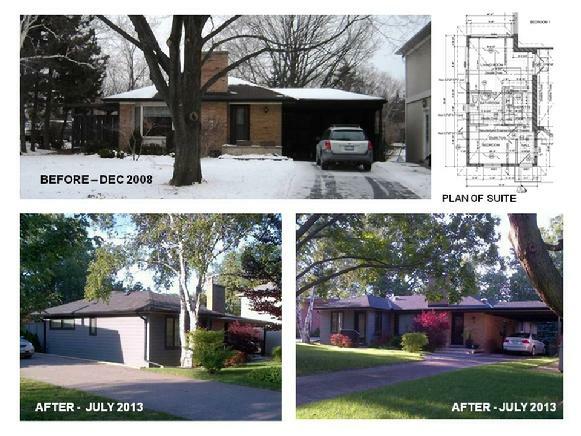 This major renovation consisted of extensive interior alterations, a two storey "infill" front addition with two second floor additions either side; one over the existing garage and one over the single storey sun room, all designed to the front of the house to take advantage of the pie shaped lot. This increased the size from 2,154 square feet to 3,160 square feet. 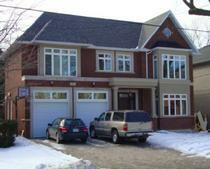 6 TADCASTER PLACE, NORTH YORK. 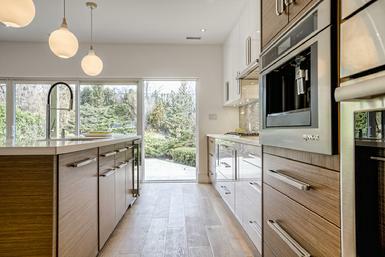 This was a very unique renovation to an existing home. My Client approched me and requested that I design the perfect "mother-in-law suite" that would afford her total privacy and independence, while still having complete accessibility to the main family home. 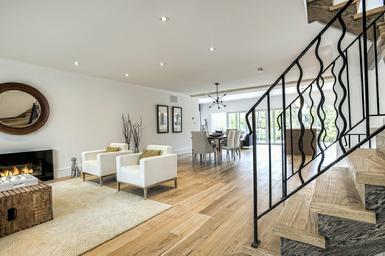 It was also to be aesthecically pleasing and blend in with the existing one storey residence. 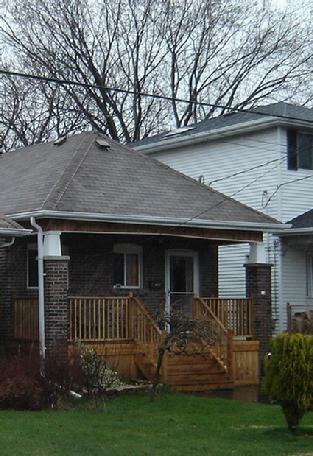 64 GATWICK AVENUE, EAST YORK. 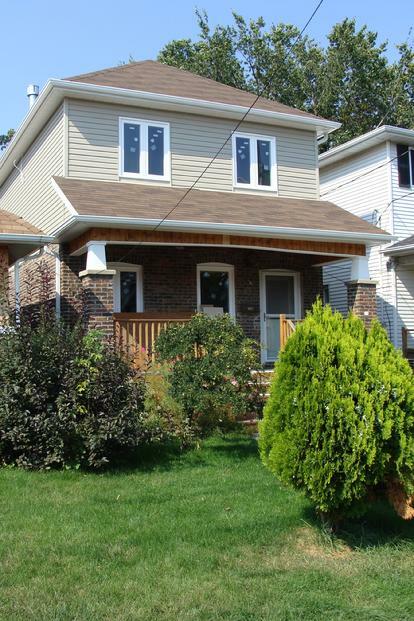 A major renovation with a completely remodeled main floor and the construction of a second floor addition with two bedrooms, a bathroom and a "master bedroom suite" with a walkout balcony to the rear. This more than doubled the size from a mere 825 square feet to a impressive 1,680 square feet. Completed in the summer of 2010. 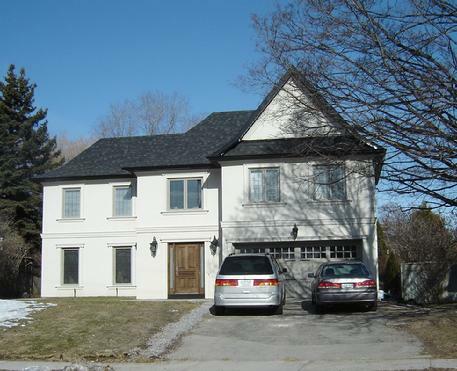 This interesting project, known as the "Regencies" and built in the early nineties, involved the design and development of one detached and six semi detached luxury dwelling units built in the former grounds of the 62 unit apartment building at 25 Bedford Avenue. 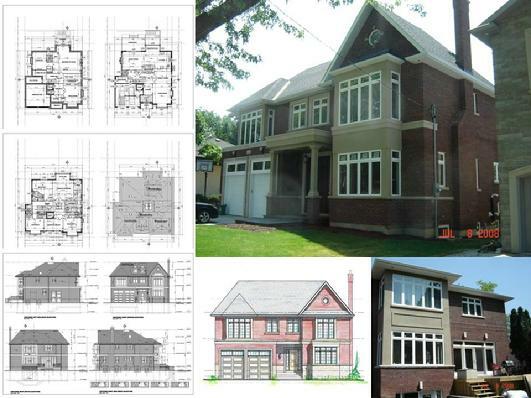 Working in close conjunction with Gordon Ridgely Architect and Kellner Fine Homes. Involved in the detail development of this project built in 1991. Later requested by the Owner to produce some monochrome renderings for the inclusion in marketing material for the development taking place on the property opposite. Here is a photograph of the house as it stands today in 2003. 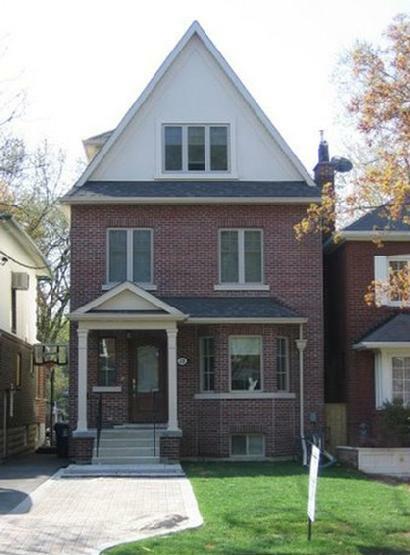 This late eighties project involved major renovations and a large side addition to create this charming one and a half storey single family "cottage style" dwelling house located in the Lawrence Park area of Toronto. The work included the the conversion of an attached garage to create a Study/Home Office, complete with a "cupola lattern light" and the creation of a wonderful "octagonal turret" that features full wood burning fire places in both the Family Room and Master Bedroom. 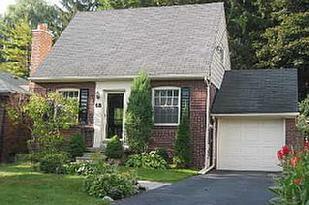 There was also extensive landscaping and the addtion of a new detached two car garage. The photographs below show of this gorgeous property in all its splendor! 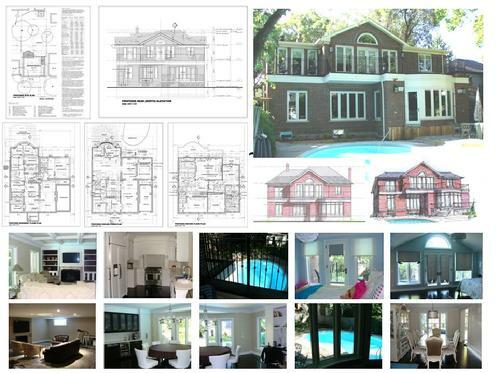 This 1987 project involved very extensive interior and exterior renovations to a magnificent detached dwelling house, three car garage, cabana and swimming pool, located in Lawrence Park, Toronto. The work involved totally gutting, relocating and/or replacing most of the interior walls & partitions, staircases, doors, windows fixtures and fittings. The completed renovation was done to the very highest standards in collaboration with Robert Derstein and Kellner Fine Homes. Located in the Lawrence & Avenue vicinity of Toronto, this was an on going expansion and renovation project that started in the early nineties culminating with the octagonal turret at the predominent south west corner of the site, housing their magnificent chocolate galleria. More recently work was completed on the total relocation of their executive offices on the second floor. 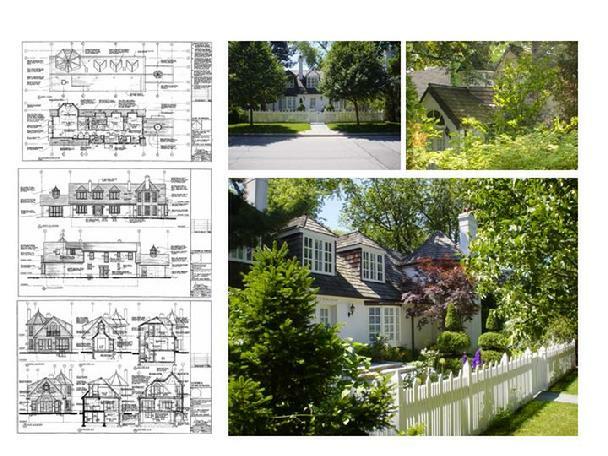 All of these various phases have been done in conjunction with and under the control of Peter A. Gabor, Architect. Here are some typical very quick and inexpensive renderings. 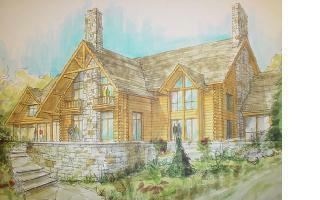 To the right is a proposed log and stone construction cottage in the Muskokas, Ontario. 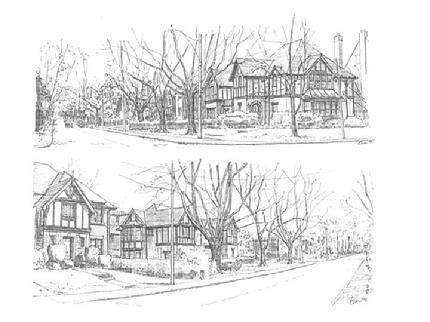 The one below was for proposed renovations to an existing detached house in Midtown Toronto and the two to the lower right are streetscapes done for Committee of Adjustment. This is yet another very recent "quickie" rendering done to help the Client fully understand how the rear semi circular, two storey bay window would appear in context with the rest of the rear elevation, the rear terrace and pool area. The two renderings above were done to show how the new detached garage and new front verandah could compliment the existing historic house. The rendering to the right was done to illustrate the effect of a new third floor addition and new two storey front bay window with a balcony at the third level. This rendering was one of a series of model types done for a public hearing for this planned community of some 200 plus units on approximately twenty-eight hectares (68 acres) of land on the outskirts of Collingwood. The design was done by Talo Architect Inc. for the Client Liberty Development Corporation of Markham. 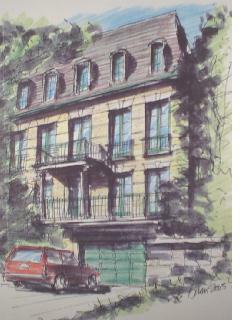 359 - 377 ROEHAMPTON AVE. Pair of renderings prepared for Peter A. Gabor Architect for a Public Hearing held on Tuesday, November 8th 2005. Click on photo above to view Interior Courtyard. In addition to normal architectural rendering, we also have the ability to produce camera ready technical illustration and here are two samples of work done. The slide to the right was done for Bakelite to introduce Air-Bloc & Blueskin products and the one below shows a sample of slides used for presentation at a series of Building Envelope seminars in the late eighties. 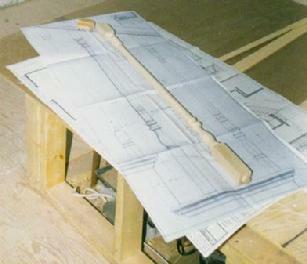 Probably the most significant stage of the process is the conceptual design. It is so important to fully interpret the Client's requirements while at the same time maintaining the local zoning bylaws and building code standards. This is usually achieved in the form of sketch proposals that are visually easy for the Client to understand and appreciate. 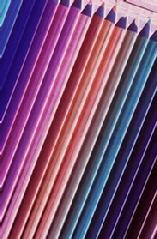 Click on the coloured pencils to view a typical proposal. Be patient it takes a few seconds to load! 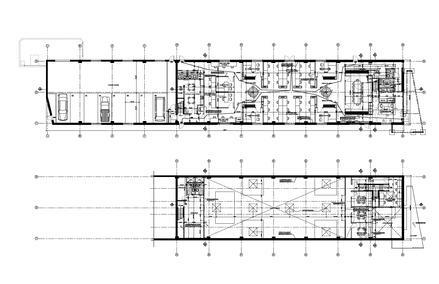 Once the Client is completely satisfied with the design concept it is time to start producing the working drawings. 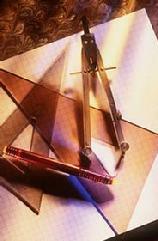 These are the "blue prints" for construction. They contain a lot more technical information that will enable the design to be examined by the buildings department for code compliance, obtain a permit, allow the contractor to price the job and commence construction. 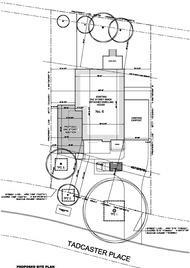 Click on the drafting tools for a quick look at a typical set of working drawings. There is nothing more rewarding than remodelling a home. In this paticular project we were instructed by our Client to completely design the new main staircase from scratch and this was to include the newels, balustrades, volute and panel mouldings. Click on the photograph to view the details (It takes a few seconds to load, thanks for you patience).